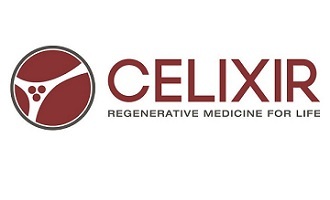 Cardiff, UK, October 5 2015 – Cell Therapy Ltd (“CTL”), a development stage biotechnology company with a portfolio of allogeneic regenerative medicines in clinical trials, announces that, following a presubmission meeting with the European Medicines Agency (EMA) in September, CTL will begin the application process for a conditional marketing authorisation (CMA) for Heartcel, the first allogeneic stem cell therapy to regenerate the human heart, in Europe. Filing is planned for mid-2016, and, if successful, approval could be granted as early as 2017. In data published in June1 and September2 2015, Heartcel demonstrated average 2 year MACEfree survival for all patients in a Phase II clinical trial studying myocardial regeneration. The trial studied 11 patients at high risk of incomplete vascularization (ICR) undergoing Coronary Artery Bypass Graft (CABG), and investigated the Heartcel (iMP cells) as an adjuvant to mitigate the mortality and morbidity associated with ICR. iMP cells are a unique off-the-shelf cardiac specific cell type specifically engineered to regenerate the areas of the heart damaged by heart attack or heart failure. All of the patients in the trial, all suffering from advanced heart failure, are still alive after an average of 28.4 months vs. up to an expected 70%3 annual mortality rate, and none have suffered cardiac events such as heart attack or stroke. If approved for CMA use, Heartcel would be the first cardiacspecific regenerative therapy approved for use in Europe and United States. Conditional marketing authorization (CMA) in the European Union may be granted by the EMA ahead of a final confirmatory clinical trial for a product for a life threatening or serious debilitating disease with a high unmet medical need and where the benefits outweigh the risks. 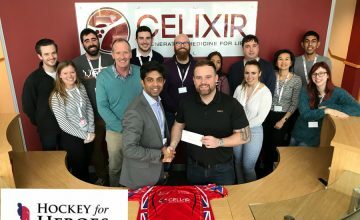 Ajan Reginald, Chief Executive Officer of Cell Therapy Ltd., commented: “Our goal was for all the patients in this trial to remain alive and free of heart complications for more than two years and we have achieved this. While the Heartcel Phase II trial was small, the two year MACE-free survival and efficacy data is very compelling and may enable rapid access to heart regeneration for critically ill patients. The submission of Heartcel for CMA is based on a period of constructive engagement with the EMA and founded upon decades of research by Nobel Prize-winning scientist, and CTL’s Chief Scientific Officer, Sir Martin Evans. A new proprietary regenerative cell type, the iMP cell, based on this work, provides the basis for CTL’s platform technology. This “precision cell” approach finds the best tissue specific cell for a particular disease, allowing CTL to create allogeneic or “off-the-shelf” cells precision-engineered for each indication. Cell Therapy Limited (CTL) is a Stratford-based biotechnology company focused on the discovery and development of regenerative medicines in areas of high unmet patient need. CTL was founded in 2009 by Nobel prize winner Professor Sir Martin Evans and Ajan Reginald, former Global Head of Emerging Technologies at Roche, and includes world-class scientists and clinicians led by experienced management, an active Board and a scientific advisory committee of world experts. 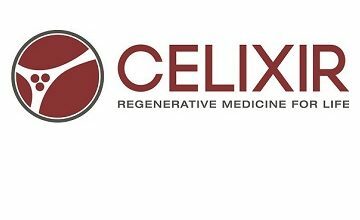 CTL has developed a novel and proprietary platform, based on the stem cell discoveries of Sir Martin Evans, which can isolate tissue-specific stem cells from donor blood, and is developing a range of allogeneic therapies for different indications. Its lead product, Heartcel, has demonstrated unprecedented survival rates in patients with advanced heart failure in a Phase II clinical trial. CTL’s heart failure product franchise also includes Myocardion, and targets the 20 million patient heart failure market. The Company is also developing Tendoncel, a topical regenerative medicine for tendon repair, and Skincel, a regenerative dermatology therapy. Heartcel is a novel, off-the-shelf regenerative therapy in development for myocardial regeneration. Based on CTL’s proprietary cell therapy platform, which allows the Company to generate multiple, highly selective therapeutics precision engineered to any indication and tissue type, Heartcel is so far the only regenerative medicine to meet all key criteria for severe heart failure in a clinical trial. In June and Septemeber 2015, CTL reported average 24-month MACE-free survival for all patients in a Phase II clinical study for Heartcel studying patients at high risk of incomplete re-vascularization (ICR). In these patients, suffering from advanced heart failure, all are still alive after an average of two years vs. an up to 70% annual mortality rate, and none have suffered cardiac events such as heart attack or stroke.